Trump slavery poll: 5 percent of black Americans also anti–Emancipation Proclamation. 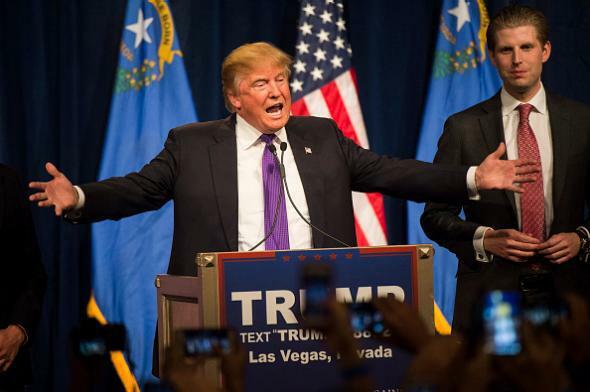 Donald Trump in Las Vegas on Tuesday. 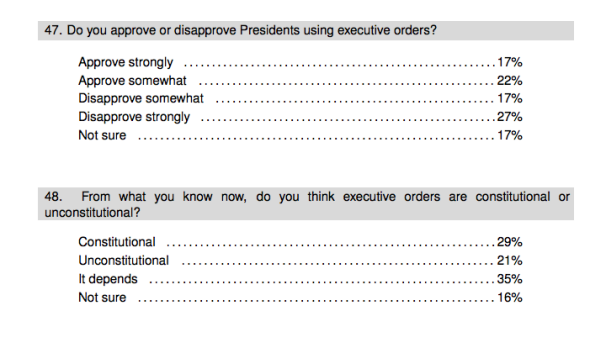 So it’s a little bit understandable that people who weren’t quite paying close attention during a long poll and/or had just voiced their opposition to executive orders might give an answer to an executive-order question that made it sound like they were pro-slavery. In fact, YouGov’s own breakdown (see item 128) shows that 5 percent of black respondents told its pollsters that they disapproved of the order that freed America’s slaves. Are 2 million black Americans really pro-slavery? None of this is to say that Trump doesn’t have significant support from racists—he does, and that’s fine with him. But it might not be literally true that 20 percent of Trump voters across the country are pro-slavery.